If you need to make it a little more simple for people who don’t or can’t eat a lot of spices, then just omit the Cajun spice and the chilli flakes. 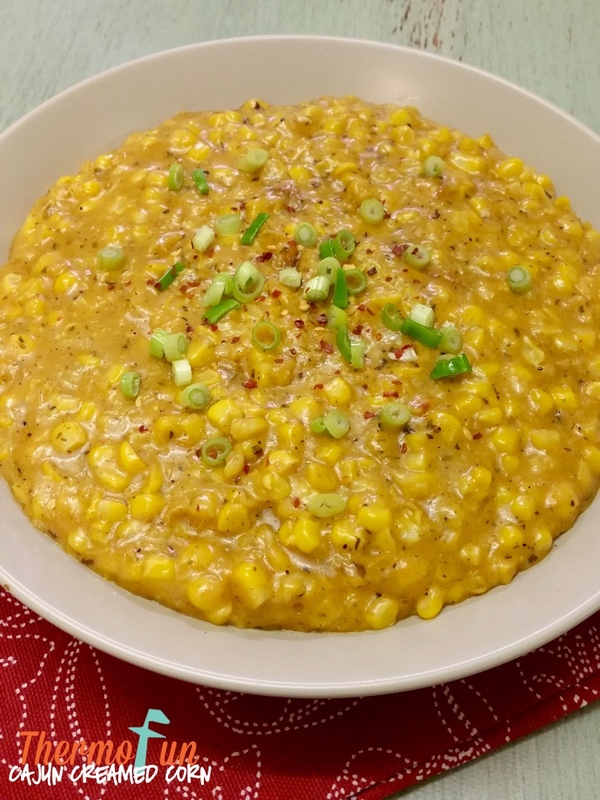 Now whilst the chilli flakes are optional, they really add that little bite to the otherwise smooth texture of the creamed corn. We had this as a quick meal, (when you don’t want to eat but know you have to), another time it was a vegetable side, a toasted jaffle, I’ve even reheated and had as a dip and if you’re feeling adventurous top on toast with some crispy bacon! Place 150g corn kernels and garlic into TM bowl and purée 10 sec / speed 6. Scrape down. Add remaining ingredients and cook 14 mins / 100°C / speed 2 / Reverse. This is so incredibly tasty! I served it with a simple bangers and mash dinner and the whole family had seconds… and I’m sure would have had more if there was any left! Thanks for another great recipe, especially right now that sweet corn is in season and cheap to buy! Note to self frozen corn kernels can glag together n make it hard fir thermie to turn lol. Might have to cook thus a bit longer.